The scenario: You've spent weeks planning your party – the guest list, the food, and the decorations. You want everyone to have a great time and you make sure that there's plenty for your guests to eat and drink. As the night goes on, the food and alcohol disappear. One by one everyone gathers their things and heads home, car keys in hand. Are you responsible for what happens to your guests after they leave your house? If all of your guests were over the age of 21, then they are responsible for the consequences of their own actions. If a guest who is under the age of 21 drinks alcohol at your party and then is involved in an accident that causes injuries or damage, the party host might be held responsible. This is called Social Host Law, and can apply even if you didn't know that a minor was drinking alcohol. Social Host Laws come with hefty fines and even jail time, but even if the intoxicated minors at your party aren't involved in an accident, you can still be charged with serving alcohol to a minor (a third-degree misdemeanor). The scenario: The employees at your company hardly ever get together outside of work. 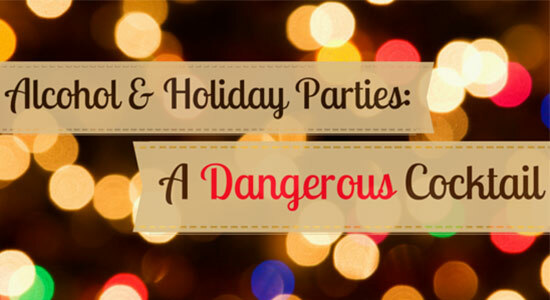 The annual holiday party is the perfect time for everyone to let loose and have some fun. By the end of the night, most people have had at least one drink, some have had more, and everyone gets in their cars to head home. If there's an alcohol-related accident after or during the party, who's responsible? If the alcohol was served by a person or establishment with a liquor license (caterer, bartender, restaurant, etc.) then Dram Shop Law could apply. Pennsylvania's Dram Shop Law says that a business or individual that gives alcohol to a visibly intoxicated person can be legally responsible for injuries and damage that person might cause. This includes car accidents, fights, slips & falls, etc. For more information, you can check out our Dram Shop Law page. If the alcohol was served by someone without a liquor license, and all of the guests were over the age of 21, then guests are responsible for the consequences of their own actions. If alcohol was served to someone under the age of 21, Social Host Laws may apply. Any injury that takes place during an employer-sponsored event is generally covered by work comp. The fact that an employee was consuming alcohol at the time of their injury would not provide any protection for the employer, especially if the alcohol was provided by the employer. If an accident takes place on the way home from an employer-sponsored event, the possibility of a work comp claim depends on the facts of the case. For example, if the accident happened because the employee broke the law, then he or she typically can't file for workers' compensation. Nobody wants to be the "buzzkill" at a party, but you should do everything you can to keep your guests safe. There are a few ways you can do this while still making sure everyone has a good time. 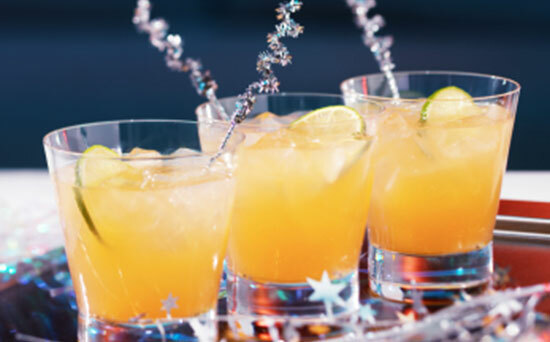 Limit how long you serve alcohol, and switch to non-alcoholic "Mocktails" as the night goes on. Make sure there's plenty of food for your guests to eat while they're drinking. Arrange designated drivers before the party starts. Keep cab company information on hand for anyone in need. Stay sober so you can keep an eye on what's happening with your guests. Hire a professional bartender – they're trained to serve drinks to the appropriate guests and limit excessive consumption. Most people don't think much about what happens after their party ends, but the truth is that what happens to your guests after they leave your get-together can have a major impact on your life. Taking the few simple steps above can help make sure your friends and family stay safe and you stay out of trouble.